Whether working to design and test prototypes, develop advanced control systems, resolve open physics questions, or manufacture technically challenging components and systems, individuals and teams working within the framework of ITER-related contracts are bringing creative and innovative solutions into play. Under the terms of the ITER Agreement, industrial knowhow and processes, technological solutions, and inventions arising from the execution of ITER contracts must be tracked and made available to all signatories. Take Hyun-Kook Shin, for example. 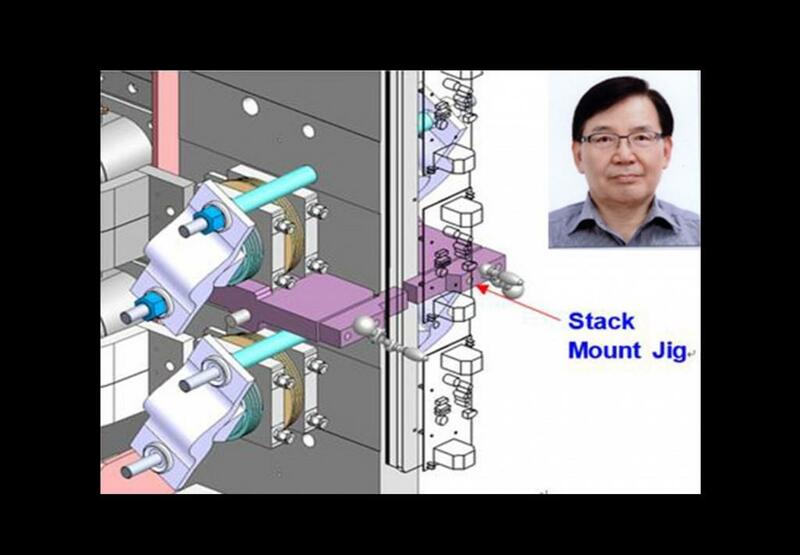 In the course of his work at the Korean Domestic Agency on ITER's AC/DC converters, he invented a new type of mount jig that significantly reduced the time and manpower required to assemble electrical converter stacks. Where it used to take three people to manually assemble the thyristor semiconductor element to the electrical busbar, his new clamping jig allows it to be accomplished by one person more quickly—an invention that will not only facilitate the completion of dozens of converters under Korean procurement responsibility, but that can also interest other Domestic Agencies. This invention, now patented, is recorded in the ITER Intellectual Property Database—the ITER Organization repository for all inventions, patents, licenses and declarations. Other Members and the ITER Organization can obtain the rights to this invention in accordance with the legal framework set out in the ITER Agreement*—in nearly every case in the form of non-exclusive, irrevocable, royalty-free licenses. Participating in ITER, then, also means sharing the intellectual property that results from the design, construction and operation of the world's largest tokamak. In signing the ITER Agreement, the ITER Members (through their Domestic Agencies) agreed to support the widest appropriate dissemination of intellectual property. In practical terms that means tracking—and making available to other signatories—the development of industrial knowhow and processes, technological solutions, inventions, and experimental results. When placing contracts for the supply of goods or services, provisions are included to ensure that contractors first declare background intellectual property (for patents/knowhow developed before the execution of an ITER-related contract) and then—as techniques and processes are developed during the course of contract execution—generated intellectual property. Both types can be shared with the ITER Organization and Member entities by way of license agreements or commercial arrangements, the terms of which are more or less stringent depending on the use envisaged. The management of ITER-related intellectual property is supervised by the Intellectual Property Board at the ITER Organization, which assesses all aspects of intellectual property protection and monitors the operation of the ITER Organization's Intellectual Property Database, where background and generated intellectual property declarations are uploaded by all Members. For the Director General of the Korean Domestic Agency, Kijung Jung, it takes education, training and a number of well-designed incentive programs to encourage all the entities involved with ITER-related business to make the best efforts to produce and share intellectual property. "At ITER Korea, we have a designated intellectual property responsible officer, and training is offered to both staff and suppliers to understand both the general framework—which may be very unfamiliar to them—and also the specifics of uploading data on the ITER centralized system." Staff at the Agency also benefit from the incentive policy of its host institution, the National Fusion Research Institute (NFRI), which encourages invention through compensation opportunities and provides support services to inventors. To date, the Intellectual Property Database at ITER has 33 records and the pace is accelerating. For the stories behind four patents generated in Korea through ITER-related activities, see the gallery below (or download a pdf here). * The legal framework for the management of ITER intellectual property is set out in the ITER Agreement (Article 10) and its Annex on Information and Intellectual Property. 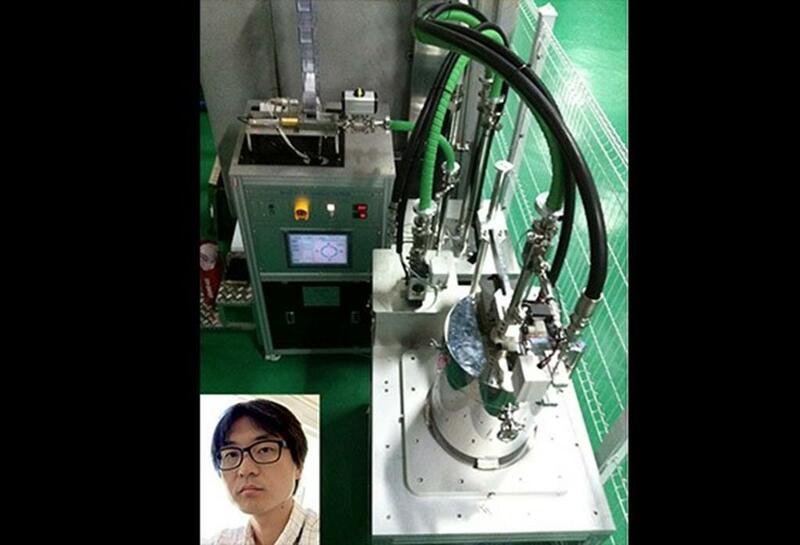 Hyun-Kook Shin from ITER Korea's power supply team and a co-worker from the Korean firm Dawonsys have patented a tool that facilitates the assembly of AC/DC power convertor stacks. Where formerly the attachment of the converter's semiconductor elements (thyristors) to the electrical busbars required three people to hold the components in place and apply the necessary pressure, just one person can do the job with his new stack mount jig. Considering the large number of stacks per convertor, and the dozens of converters to be supplied to ITER by Korea, the invention represents a significant reduction in both manpower and time spent. Diagnostic researcher Mun-Seong Cheon is part of a Korean Domestic Agency team designing a neutron activation diagnostic to measure fusion power. The neutron activation system brings capsules containing small amounts of metal close to the plasma along a specially designed pneumatic transfer system. After a few seconds spent in the company of fusion neutrons the materials become activated. By transferring the capsules back to a counting station, this activation can be measured in a way that provides a very accurate picture of fusion power. 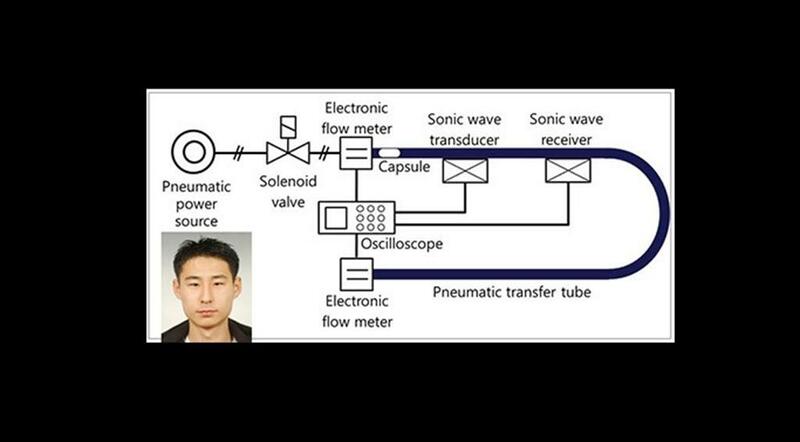 Mun-Seong devised a technique allowing the pneumatic transfer system to operate efficiently in the harsh environment of ITER. He now holds two patents—one for the high-pneumatic conveying system, and a second for a specimen-loading device. Seoul National University researcher Jeong-Jeung Dang has been collaborating with the Korean Domestic Agency team on the design of the neutron activation system. Noting that the accuracy and the stability of the diagnostic depended on keeping track of the capsule transport apparatus at all times, he devised a highly precise tracking method based on sound waves. His invention (now patented) dispenses with the need for expensive or complex equipment and can be used in normal or accidental situations. 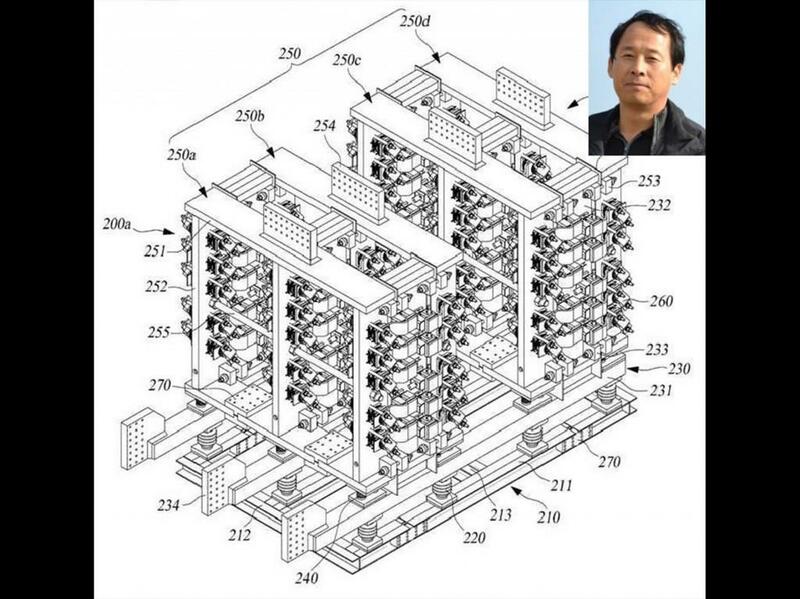 Jae-Hak Suh of ITER Korea's power supply team has received a patent for a power converter design that makes it easy to control the current balance between the AC busbar, the DC busbar, and the switching devices and also prevents temperature increases due to induction. In tests carried out by the Korean Domestic Agency and supplier Dawonsys it also demonstrated the advantages of improved structural resistance, facilitated cooling and a reduced number of parts. Because his design has never before been realized by industry, he also devised a proposed method for production, maintenance and reparability.